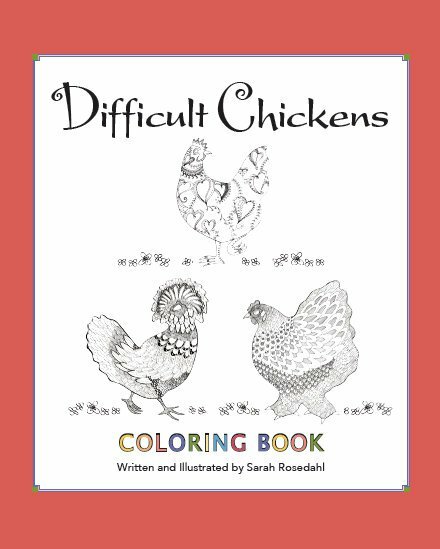 Have you seen this darling coloring book called Difficult Chickens? I have had the pleasure of knowing Sarah Rosedahl, a very talented artist from Vermont, for the pleasure of several years. 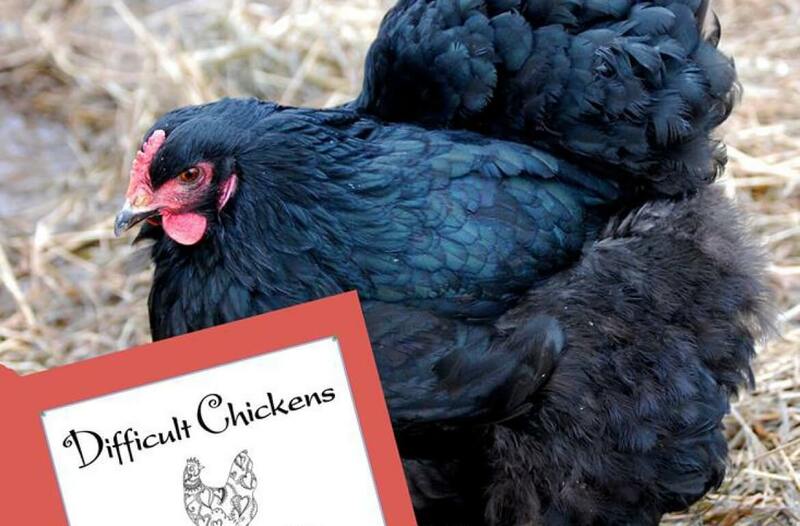 I first met Sarah after she had just written Chickens Illustrated Chicken Breeds A to Z. We discovered one another through the powers of social media and we had the chance to connect in person years ago at the Poultry Congress chicken show in Massachusetts.